Es futures stats were bullish. My goal was to buy the dip. Since the day before closed on the lows, I figured if the market will rally, it will do so fairly early (bull market behavior!). 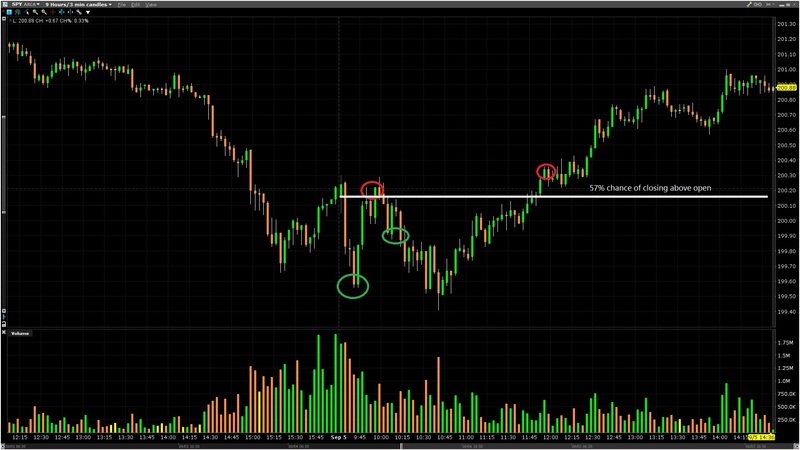 I entered on the first small spike down and exited on some spike action on the way up. I missed out on a huge run up, this is a problem I am trying to address on both a psychological as well as systematic space. Stats were bullish for the ES. High chance of closing above the open; high chance of closing green on the day; high chance of closing above previous high. But, the ES also had a high chance of a gap fill. 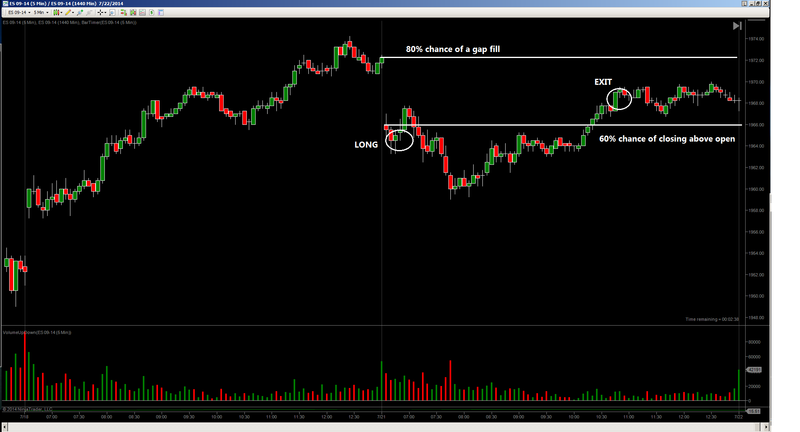 I took a long entry after the gap filled because getting before that would be asking for a high probability draw down. 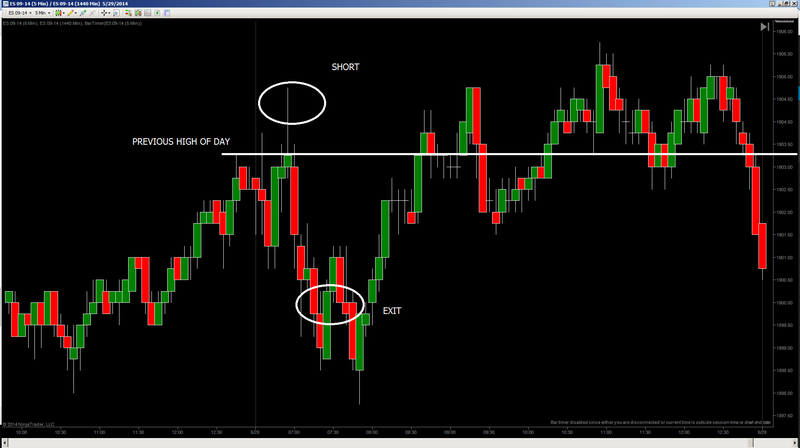 The trade still resulted in some heat that was disproportionate from the profit, but nevertheless it was a profit. The plan was to short into rallies. Stats were weak for closing above yesterday’s highs. 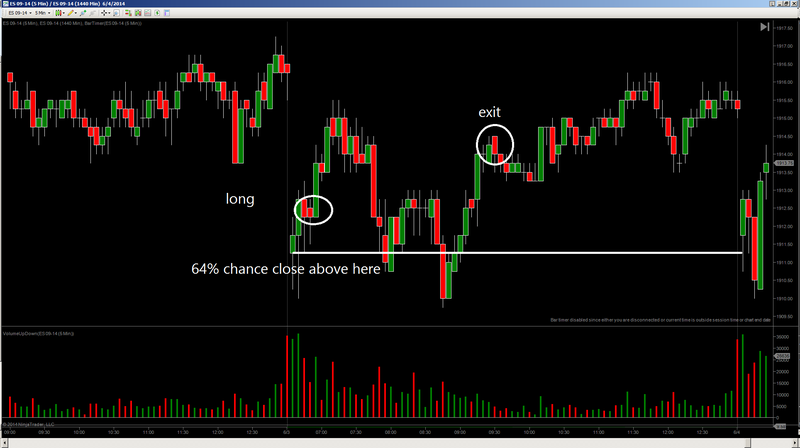 I shorted the breakout, which worked out the end, but not before taking a decent sized draw down. As long as my max stop is untouched, I should be comfortable taking some heat. The operative word being should. Odds for closing above the open today was strong. I was aiming for a long entry due to bullish momo stats and secret sauce seasonality. 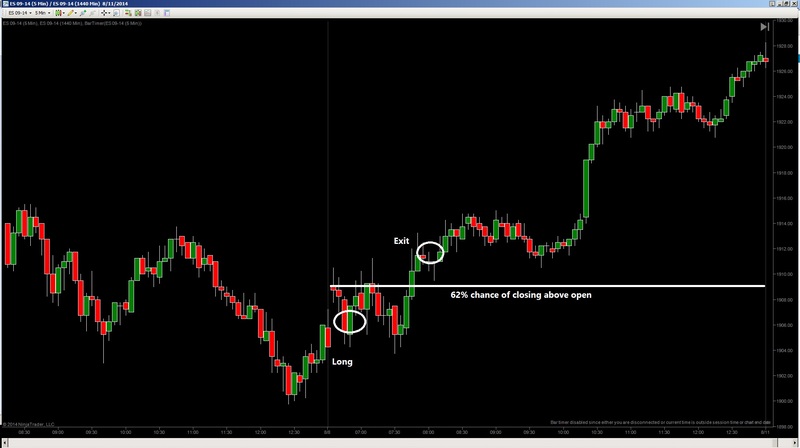 The trade worked, although volatility was so low that the movement that exciting. I cut a little early, but trade would not have made much more money if I held until the close. Slow grind up bull markets are like this. Based on historical odds, the ES had low odds of closing above the previous high of day. The plan was to take a short on a spike above yesterday’s high. The trade worked out as planned. I exited right before the bounce which at the time felt premature, but turned out to be the perfect exit. My reason for cutting was because I don’t like swift down moves in a strong market. 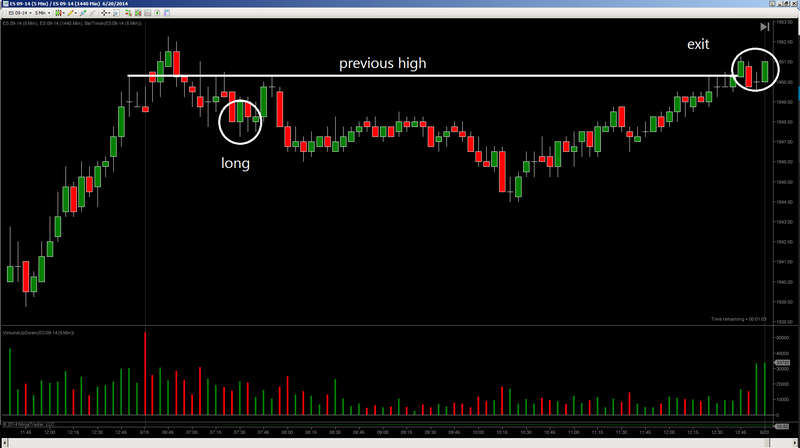 Stats suggested a very low chance of closing above previous day’s highs. 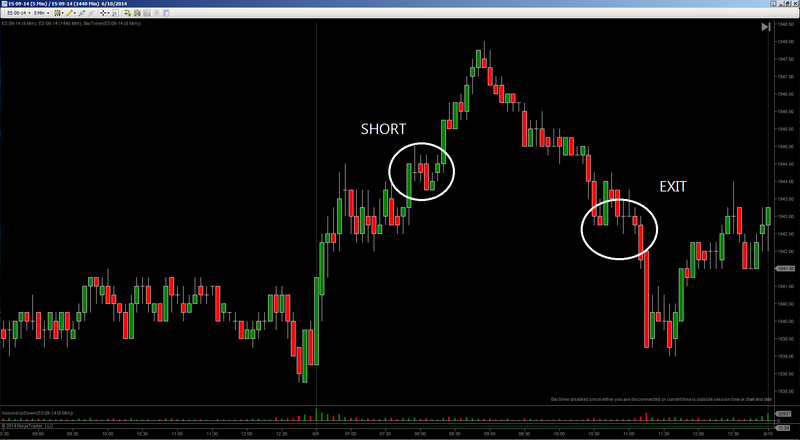 So I waited for it spike above it and entered a short. The odds played out exactly today, notice how price closed below the previous high.